I want to start a business...what's the first step? You're in luck! There are lots of great resources available in the Austin area and collaboration is the name of the game! There's an entire ecosystem of local, city and state agencies, non-profits, lenders and resource partners who work together to grow the small business community. Not one of us can do it all, but we can each do our part for the greater good. We see each other as partners, not competitors and this mindset is a key driver of Austin's thriving entrepreneurial community. The nonprofit with the most training sessions and mentors in the Austin area would have to be SCORE. Established by the Small Business Administration (SBA) in 1964, the Service Corps of Retired Executives (they go by SCORE now) has offices across the nation with 10,000+ volunteer mentors. Our local chapter just happens to be one of the very best in the nation! Check out Austin.SCORE.org to access 75+ volunteer mentors, a calendar packed with live workshops and webinars and an online library of templates and current resources for startups and existing businesses. SCORE offers in-person mentoring, email mentoring and video mentoring. No charge for mentoring, small charge for some of the classes. Sign up for the local eNewsletter here. Another great resource for startups is the Economic Growth Business Incubator (EGBI). A non-profit organization, EGBI provides training, coaching, and support to aspiring and existing business owners who face barriers to growing a successful business. 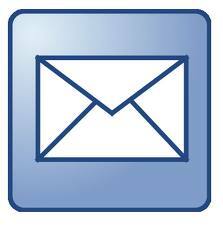 Sign up for the EGBI eNewsletter here! The City of Austin's Small Business Program offers a full calendar of training and events including regularly scheduled BizAid Business Orientation classes and sessions on many topics from business taxes to QuickBooks to hiring the right people. Definitely get on their email list to keep up with the latest training and events! One of the most comprehensive handbooks for entrepreneurs in Texas is the Governor's Small Business Handbook. It's a large document (150+ pages) that's not available in print but can be downloaded. It's updated regularly and an excellent guide for entrepreneurs wanting to do business in Texas. Can I get a grant to start my business? We get this question a lot and unfortunately, the reality is there are no grants to start a business. However, there are grants for small businesses who are developing cutting-edge technology that could be used by the military or other government agencies who received Small Business Innovation Research (SBIR) funding. Learn more about America's Seed Fund here! How do I become an SBDC client? There's no cost involved in becoming an SBDC client. It's simply a matter of completing a short form called a 641. But before doing that, we need to learn more about where you are in the life of your business. If you're a startup, it may make more sense for you to meet with a mentor or advisor with one of our many resource partners. The Texas State SBDC has 4 business advisors who cover 12 counties in central Texas. Because of our limited capacity and the metrics that are tied to our funding, we focus more on existing businesses that are growth-oriented. However, the local SCORE chapter has 75+ mentors in the Austin area who can help you through the startup phase! SCORE is under the umbrella of the Small Business Administration and does not charge for mentoring. There's also a non-profit program called EGBI (Economic Growth Business Incubator) that extends education, training, and connections directly into the underserved areas of our community in a way that is culturally relevant and delivers proven results. Once you get your footing and are ready to seek funding, give us a call at the SBDC. We'll assign an advisor to review your loan application and business plan and connect you with lenders who want to make the types of loans you are seeking. How much does it cost to become an SBDC client? Thanks to funding provided by the State of Texas and the Small Business Administration, there is never a cost to meet with an SBDC advisor. Can an SBDC advisor review my loan application? Absolutely! We spend a lot of time getting to know the local lenders, what types of loans they are making and what causes red flags to fly when they review new loan applications. Always get and review your credit reports, which you can do at no cost to you at www.AnnualCreditReport.com. Can you help me with my website/marketing/social media? SCORE has several marketing experts on their team and they offer marketing training sessions, both live and webinars, throughout the year. Our SBDC advisors have been trained to do an assessment of your website and identify problems that may be causing you to lose visitors. Do any of your advisors speak spanish? We have a bi-lingual SBDC advisor, Orlando Colmenero, who serves the Austin and surrounding area. We have several tools to help you identify new customer segments and revenue streams and we can also help you reduce costs and increase efficiency. We use the Business Model Canvas, Lean Launchpad, Profit Mastery, Reference USA and various databases to help you develop a growth plan. Can you help me re-structure my debt? Our advisors are able to review your financials and help you develop a strategy to consolidate your debt and manage your cash flow in order to save your business. How do I get certified as a small/minority/woman-owned business? Several certification programs are available through city, state and federal agencies. SBDC advisors can help you through the process. What paperwork do I need to file to start my business? It depends on the business structure. See this page on the governor's website for detailed information. Where can I find out about licenses and taxes? The best source of information we have found for small business taxes, licenses and permits is the governor's Go Big in Texas website. Can you help me value a business that I want to buy/sell? Business valuation is one of the many ways our SBDC advisors can assist you when you are considering buying a business or franchise or selling a business. Where can I get simple legal questions answered? We cannot give legal advice but there are a few sources that we feel comfortable sharing with you: The Lawyer Referral Service of Central Texas is a nonprofit public service offered by the Austin Bar Association. There are also services such as LegalShield and LegalZoom that provide low cost legal services to small business owners. EGBI offers free legal clinics. Check their calendar for upcoming sessions. How do I file a patent or trademark? If you have a new technology or innovation that you're developing we'll be glad to help you through the process and refer you to an attorney if necessary. Call the main office at 512.716.4800 or email us as sbdc@txstate.edu. I have an app...can you help me find funding? We get this question a lot. Thankfully, we have a Technology Commercialization Center at our regional SBDC office in San Antonio whose team has been trained to evaluate product/market fit and guide entrepreneurs through the technology commercialization process. Selling to the government is very different from selling in the private sector. SBDC advisors can help you with local, state and federal contracting. We also have a specialty center in San Antonio called the Procurement Technical Assistance Center (PTAC). PTAC advisors are available to help you through the whole process. What kind of market research can you help me with? SBDC advisors have access to SBDCNet which is a national clearinghouse of market research data such as ring studies, industry reports, articles and archives. Our advisors also have access to university databases such as Reference USA and federal databases like the US Census Bureau. I might want to export my product...where do I start? Two of our SBDC advisors are NASBITE-certified Global Business Professionals: Orlando Colmenero (oc11@txstate.edu) and Rex Steele (rex.steele@txstate.edu). Email Orlando or Rex and one of these guys will help you get started! My business was affected by a flood/fire...can you help me? The Small Business Administration is your best source for resources needed after a natural disaster. Here's the SBA link. Can you help me understand my financial statements? SBDC advisors have extensive experience analyzing small business financials and they are also certified Profit Mastery instructors.